While vinyl siding is durable against the elements and insect damage, it’s not immune. For this reason, it’s important that homeowners know how to prevent exterior vinyl siding damage from happening in the first place. Keep reading to learn how to prevent future vinyl siding repairs. Below, we list our top tips for how homeowners just like you can be proactive by taking the proper precautions. If your vinyl siding sustains serious damage, we recommend that you have it checked out by a vinyl siding repair company before it gets any worse. It’s not uncommon for homeowners to have shrubs or trees planted close to their house. While it may not seem like a big deal, branches that scrape across your home’s exterior vinyl siding can cause damage over time. Branches can also serve as pathways for insects, such as ants, to infiltrate your home’s siding. To prevent siding damage from insect activity, make sure that you clear away any branches that rub against the side of your home. While vinyl siding is more resistant that wood siding when it comes to insect activity, it certainly isn’t invincible. While this may sound like an odd preventative measure, there have been cases of vinyl siding melting due to a phenomena called solar distortion. When people install energy-efficient windows, the sun rays bounce off to hit your vinyl siding, causing them to melt and warp. If you have noticed signs of solar distortion on your vinyl siding, you might want to have a talk with your neighbors. Window screens and awnings can help diffuse the reflected sunlight. 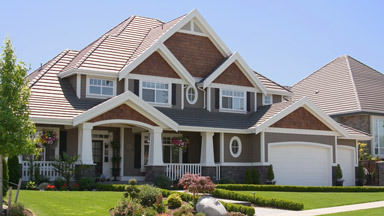 When it comes time to replace your old vinyl siding, you can choose fiber cement siding for the exterior of your home. Unlike vinyl siding, fiber cement siding is resistant to damage caused by UV rays. If you notice something wrong with the structural integrity of your vinyl siding, it’s important to call an experienced vinyl siding repair contractor as soon as possible. If left unattended, the damage could worsen, costing you more money in the long-run. Grand Rapids siding contractors at (616) 785-8080. Weatherhead & Sons works hard to make sure its customers in Grand Rapids, Caledonia and other surrounding West Michigan areas can enjoy quality vinyl exterior sidings that will last for years to come.